A new remix of "Oceans" by Bristol natives Coasts came out the other day, with Twice As Nice adding a ridiculous amount of catchy synth to make this song even more amazing in a new way. 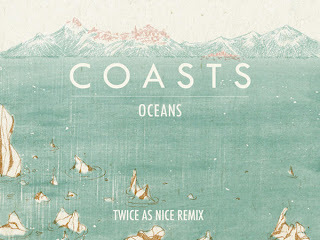 Coasts has had plenty of potential with this single when we posted it a few weeks back, and now they are getting love from Zane Lowe's BBC1 radio show. But if you had heard the original or clicked the link, you'll know this is an amazing Summer anthem and the remix is too. Stream below.